As a ceremony commences to open the new controversial United States Embassy in Jerusalem, not so far away on the Gaza border, an estimated 2,700 protesters were injured, leaving an estimated 58 people dead by Israeli armed forces. The havoc was sparked by President Trump’s decision to move the U.S. Embassy from Tel Aviv to Jerusalem, resulting in the United States formally recognizing Jerusalem as Israel’s capital. 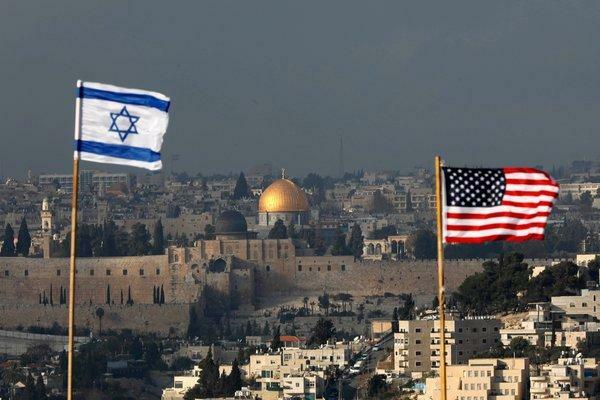 In October of 1992, the 104th Congress of the United States passed the “Jerusalem Embassy Act of 1995” to relocate the U.S. embassy to Jerusalem in an effort to recognize Israel’s capital. It wasn’t signed by a president, and became law in the fall of 1995. The law hasn’t been touched by previous presidents on the concerns that the move could shift Middle Eastern peace. As President Trump put it in early December 2017, “…every previous American president has exercised the law’s waiver, refusing to move the U.S. embassy to Jerusalem or to recognize Jerusalem as Israel’s capital city.” Later in the presidential statement, he announced his decision to relocate the U.S embassy to Jerusalem. “Therefore, I have determined that it is time to officially recognize Jerusalem as the capital of Israel,” said Trump. President Trump’s decision is one of controversy and many have their own personal beliefs for and against it. Due to the Palestinian public’s opposition, this action has not helped with Israeli-Palestinian relations.